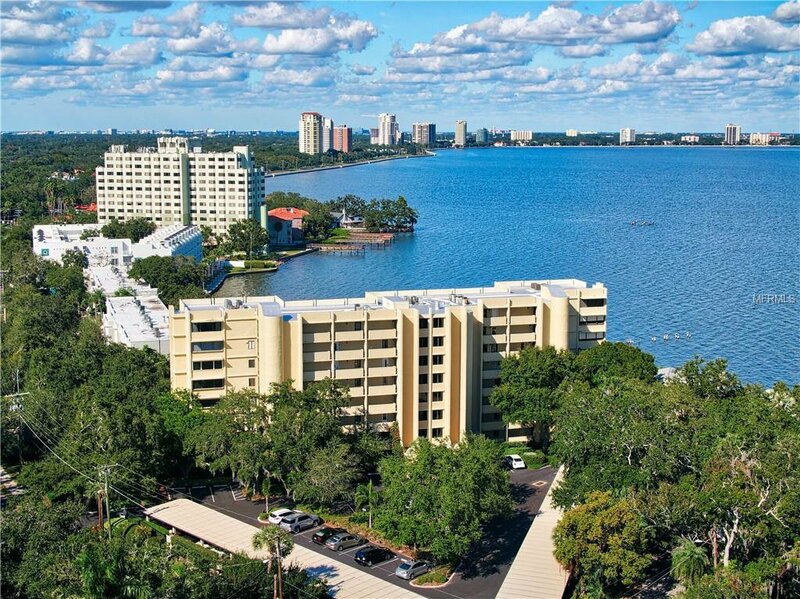 Welcome to Commodores Cove, minutes to Downtown Tampa where you can find something for everyone to enjoy! This private waterfront condo community offers a private pool, a recreational room that can be reserved in advance for your private entertainment purposes, and assigned parking spaces with plenty of extra parking spaces for your guests. Take the elevator to the second floor to find this cozy 2 bed, 2 bath, and 1,322 SqFt condo with magnificent bay views. Upon entering this completely renovated unit, you are guaranteed to feel right at home. Large double-wide sliding glass doors provide tons of natural light to this open concept floor plan. The stunning kitchen offers an over-sized island with plenty of countertop space for in-kitchen entertainment and dining. Stainless steel appliances and finishes give this kitchen a feel of modern sophistication. Step out onto your private balcony to enjoy the bay breeze, beautiful sunrises over the bay, spot dolphin swimming by, and beautiful birds. Back inside, this split bedroom floor plan offers two large bedrooms with private en-suite bath, and large walk-in closets. High tech window shades, which are programmable and controlled via a Hunter Douglas app system, are installed throughout the unit providing privacy and cut down costs of cooling the unit. Other updates include beautiful hardwood floors throughout the kitchen and living room, newer carpets in the bedrooms, and freshly painted walls. This unit is move-in ready, and waiting for you to call it home. Listing courtesy of KELLER WILLIAMS SOUTH TAMPA. Selling Office: ENGEL&VOELKERS TAMPA.